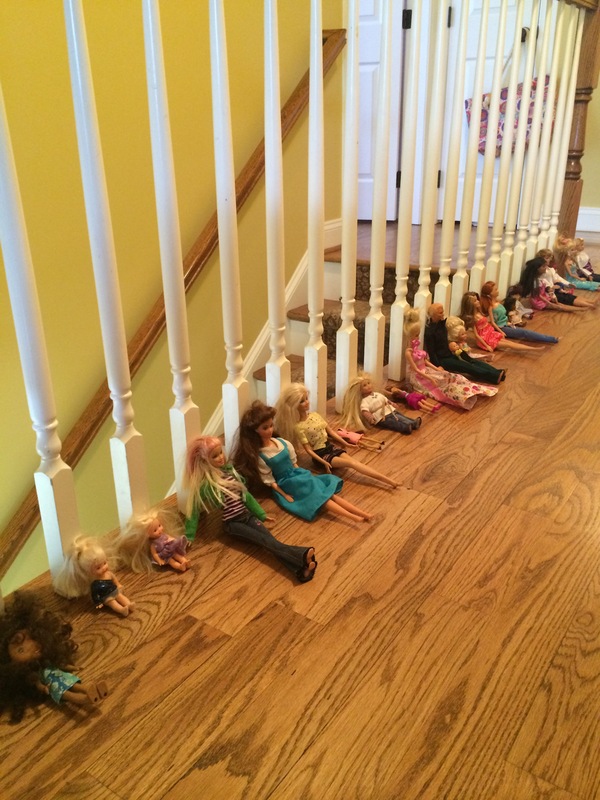 I walked out of my bedroom today, and laughed out loud… Barbies were lined up, one by one, their backs sitting neatly against each and every spindle of the balcony railing at the top of the stairs. Several held itty bitty Barbie babies in their arms. I surveyed the entire scene with amusement. 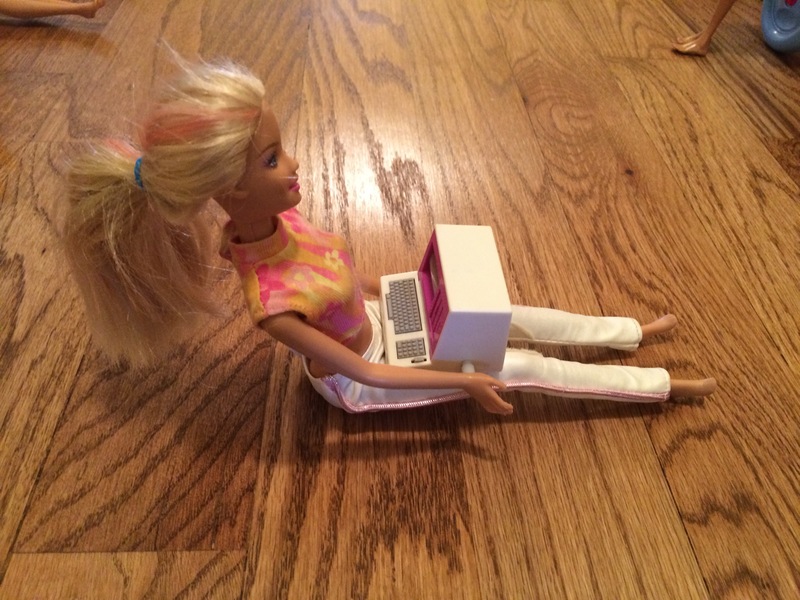 “What are your Barbies doing?” I asked my daughter. I told her that first a pastor must be called by God. I told her that God calls many women into ministry too. This brought a smile to her sweet face. I told her God is pleased and happy when we spread His good news by telling people about Jesus. I mentioned a Christian female speaker I admire, and she asked me to repeat her name. I reminded her of how Mommy teaches Sunday School (She’s in my class, so her eyes lit up.). I told my daughter that she too, can tell lots of people about Jesus! My daughter informed me that she was going to name her Barbie “Pastor Chocolate.” She told me Pastor Chocolate was going to preach to her church about “patience.” I told her I thought it was a wonderful topic and that people need to learn how to be patient! I told her I also thought even more people would want to come to church if their pastor had a name like that, because it would make them think of something good! After all… The love of Jesus is sweeter than chocolate! When we are tired and worn down, we can become susceptible to believing the lies the enemy tells us about ourselves. We may think we’re not accomplishing much, and we may begin to wonder if our children are missing out. But in the chaos of life’s demands, there’s a silver lining: Our children are watching us. They are observing, questioning, and imitating the good things and the godly things. They watch us give our testimonies and walk in obedience to Christ. They are thinking about Jesus when they eat, and sleep, and play. 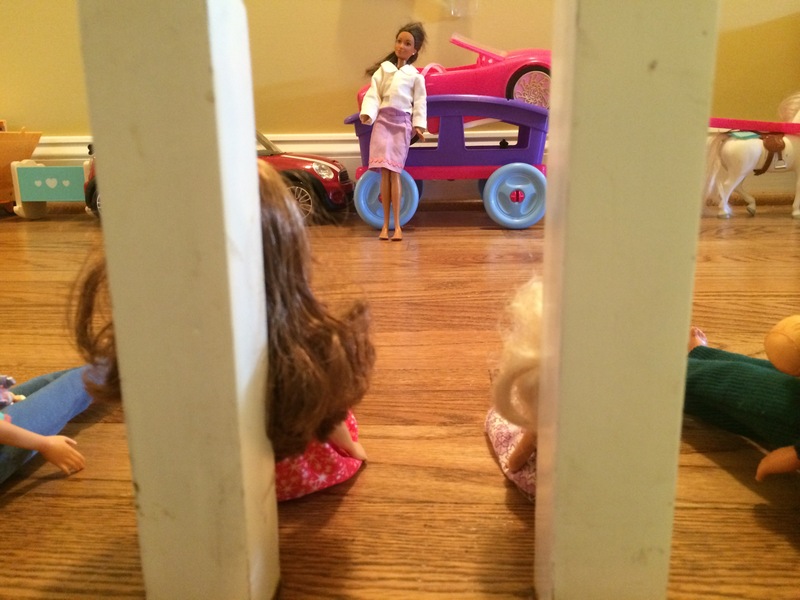 Their Barbies might even just happen to be…going to church! What a sweet compliment! I love how God speaks to us through our “little nuggets” and lets us know that He loves us and thinks we are doing a good job right where we are in the middle of all the messes! God bless you, your lil’ nugget, and your family, in Jesus’ name! Sounds like you are on the right path with that cutie!!!! Thank you, my sweet friend, Out of the Box Mama! Isn’t is great that we can “just be” and let God take care of our kids when life gets overwhelming? It’s so refreshing that we don’t have to try so hard; we can just follow the path God lays out for us!